In a large bowl, mix the vinegar, salt, dill, pepper, and melted oil. 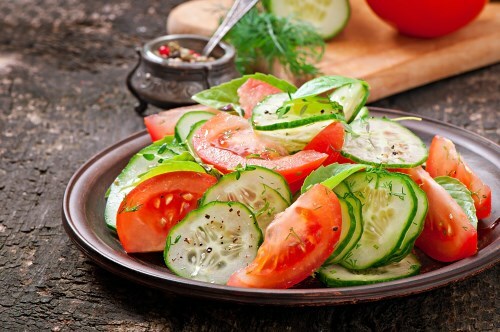 Add cucumbers, onion, and tomatoes. Toss, and let stand at least 15 minutes before serving.